Bluebird Studios Recording Studio Gift Certificate (4 Hours). This is a perfect gift for someone who wants to get the perfect take. Suitable for singers, poets, voice over artists and actors. Four hours is a great time span to get high energy performances in and achieve great results. What you can do with the four hour studio voucher. 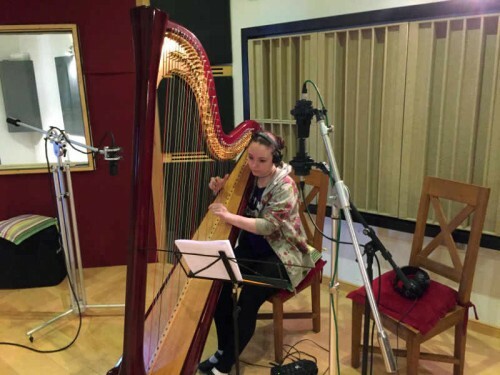 The most popular use of the four hour voucher is musicians recording a couple of tracks. This could be a pianist or guitar player singer song-writer working on original or cover material. 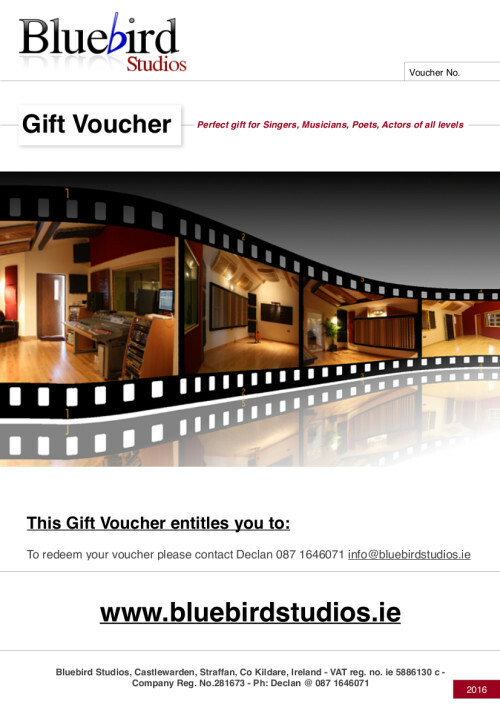 For the voice over and video showreels the four hour studio voucher is ideal. It may be the case that after four hours you still want to get more recording done. In anticipation of this event clients who have booked the Four hour session are allowed 2 hours overrun at the same rate (€37.50).